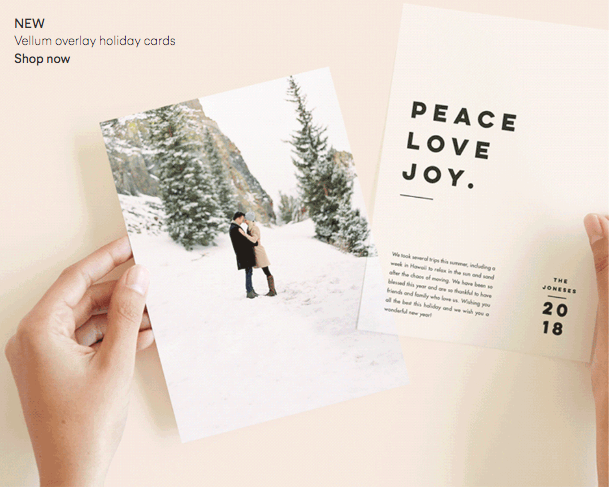 Something about Christmas cards has just always been really fun for me. 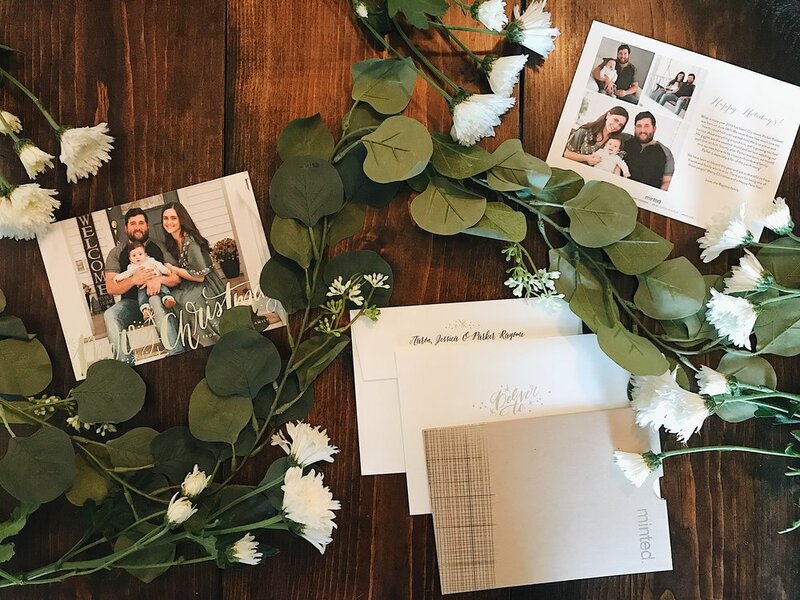 Maybe it’s because my mom used to write a personalized letter to all our friends and family every year, or just the excitement of getting something in the mail, but I love sending and receiving cards. 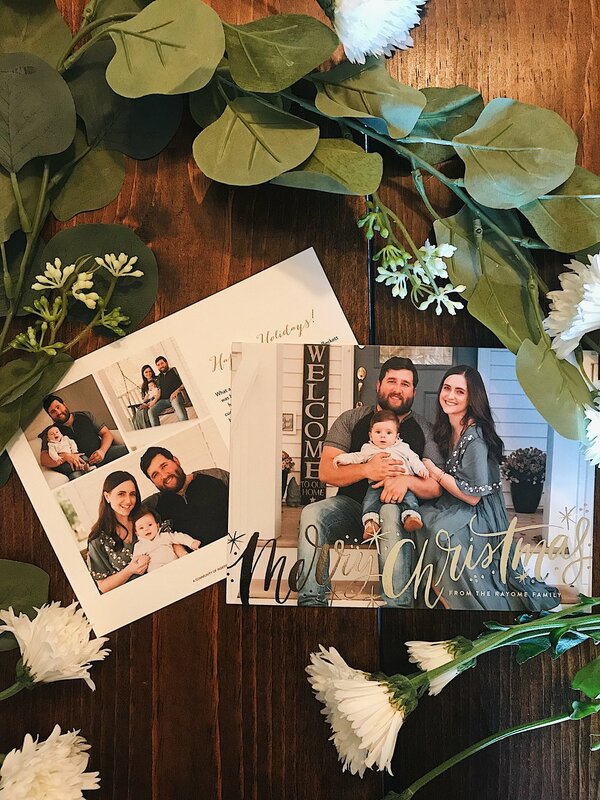 And this year, with Minted helping create our first cards as a family of three, made it even easier and fun! 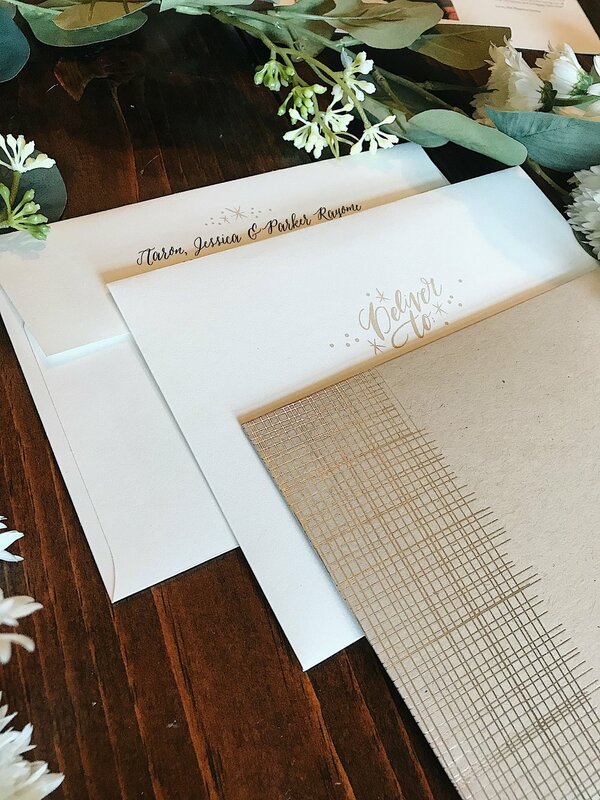 From simplistic designs, to overlays and foil, it’s exceptionally easy to create the look you want. I was so excited to have family photos taken, I can’t wait to send them out to friends and family! While my pictures don’t do these cards justice (I’m more DIY than photography, really need to figure that out), the quality of these are nicer than our wedding invitations. Each envelope is labeled with a send to and return address, which with all the things I’m trying to juggle is ideal. Stamp and send! I also need to give a huge thanks to Aaron’s friend Micah for taking our photos this year. Trying to find time to take pictures, let alone get cleaned up, and then attempting to get Parker to look at this camera was a bit of a tall order! I love how everything turned out! 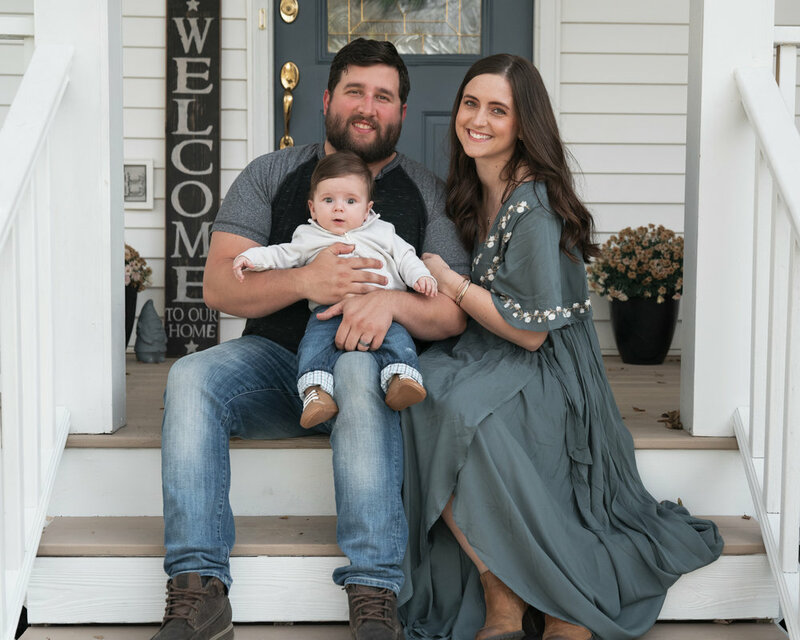 I can’t wait to celebrate Thanksgiving this week and then get all of our decor out for Parker’s first Christmas! Time feels like it’s flying, so we’re trying to soak up all of our time together this Christmas season!